When you are locked out of your car, and you have no idea what happened to your keys, there is no time to lose. You cannot wait hours or days before someone help you. That is why our emergency locksmith services are the perfect cure for what ails you. We can get you a replacement key for your Kia fast – 24/7/365. It does not matter what time it is, or where you are currently located. We’ll dispatch someone to your location immediately, and they will arrive within 20 minutes with all the equipment needed to get your replacement key made. When you contact Door N Key Locksmith, a mobile van is dispatched to your location. We consider all calls emergencies, which means we will send someone to your location ASAP. 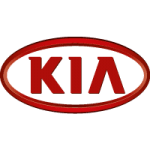 They will have the equipment in the van that is needed to create your replacement Kia key. Whether it is a regular key, or one with a chip inside, there should be no issues in creating a replacement. Your Kia key will work as good as the original did – and you can go back to driving your vehicle within the hour! There is no need to spend hours stranded when we can have you back on the road in no time.